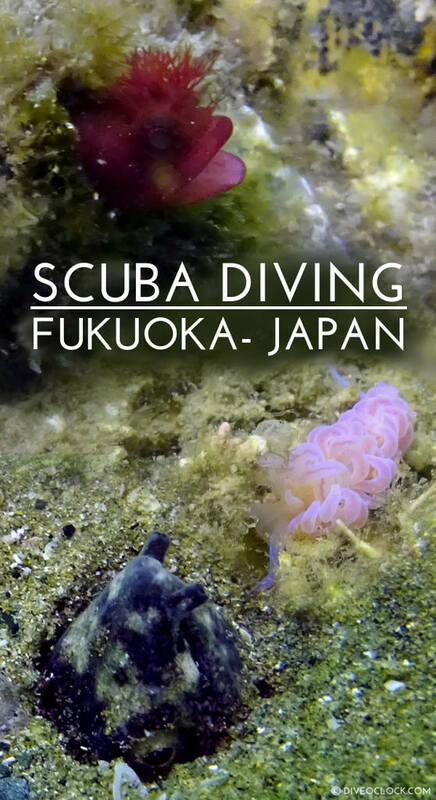 Fukuoka SCUBA Diving in Japan - Dive o'clock! 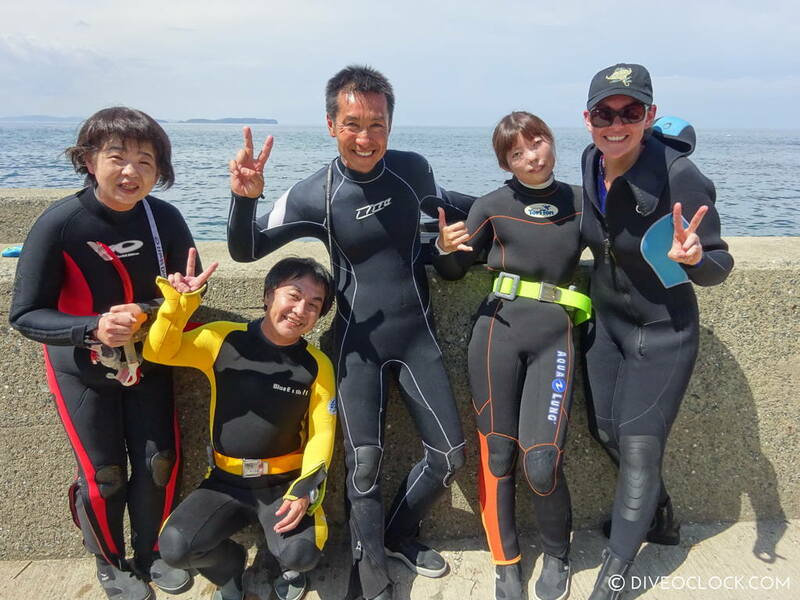 Shore diving in Fukuoka with ToriTon Diving Resort and team Japan. Fukuoka is one of the major cities of Japan although it is not on the list of many tourists. 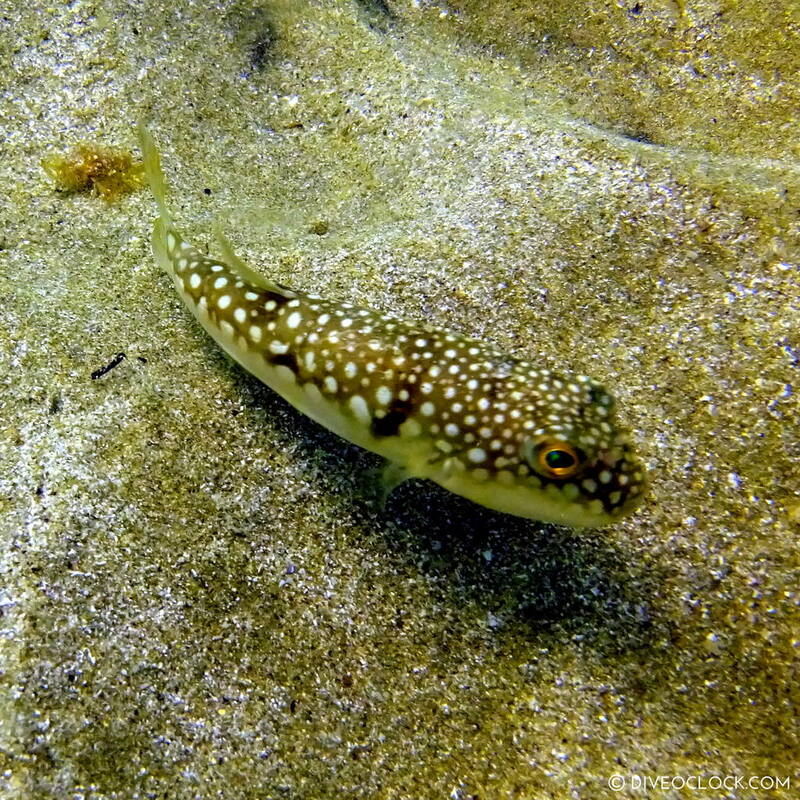 It's more local and personal, just like SCUBA diving around here. 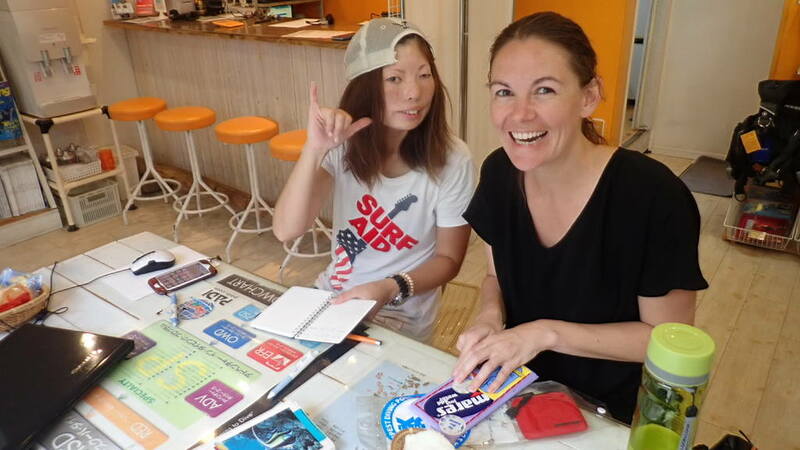 Experience local culture, learn some Japanese and a bit of glamping! Fukuoka (石垣島) is located on the Japanese island Kyushu, along the North coast. 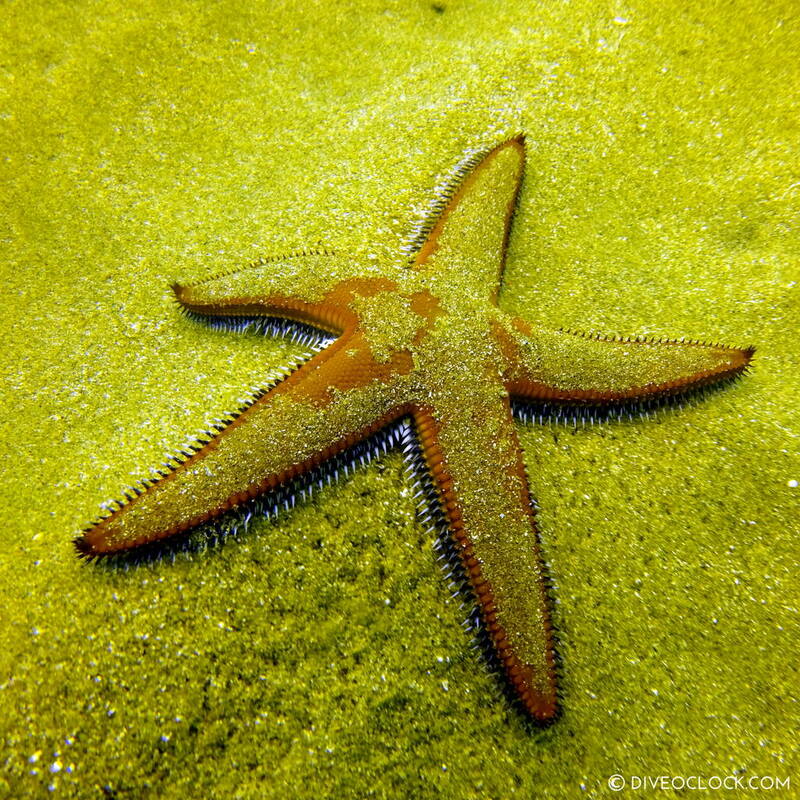 It is located more or less on the same latitude as Jeju island in South Korea. Fukuoka is not an island laying in open sea, the coastline is more sheltered with a combination of tropical and temperate water. Why dive here? Because you can! 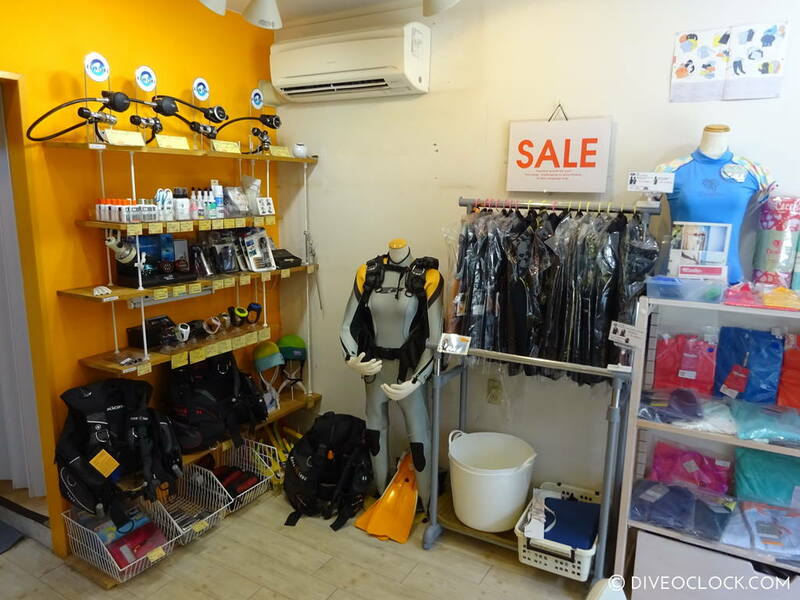 Just like on Okinawa Honso and Ishigaki, finding an English speaking dive center in Fukuoka was easy and nothing compared to South Korea. My only problem was avoiding all the typhoons and tropical storms in August. 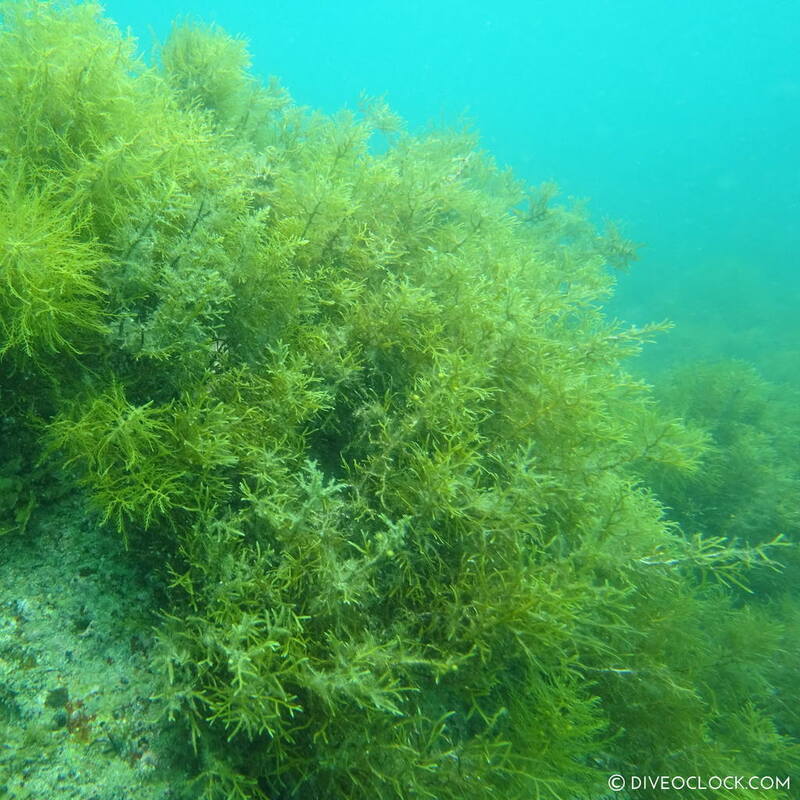 Luckily I was in Fukuoka for a week, so we could just wait for a good day to schedule the dives. 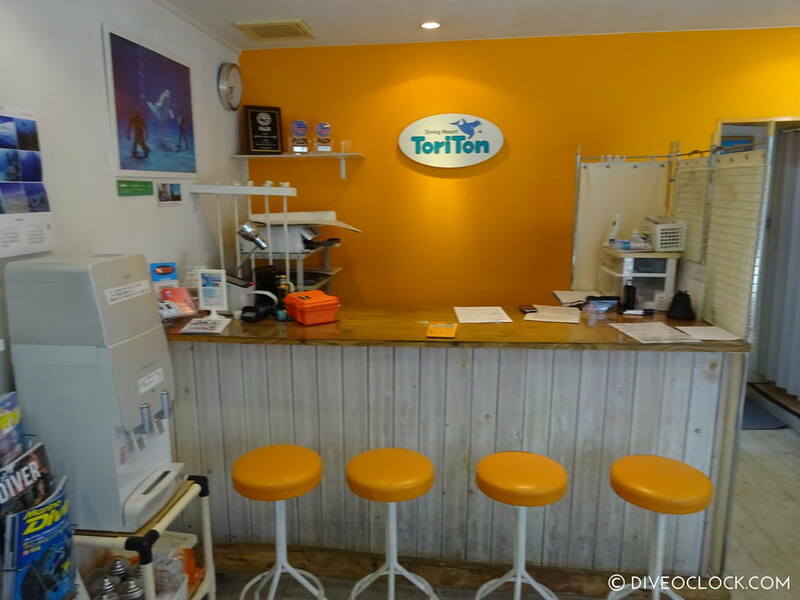 From the first email contact, Taka from ToriTon Diving Resort has been amazing. Everything was so well-prepared and with so much care, you feel the love for his diving business. 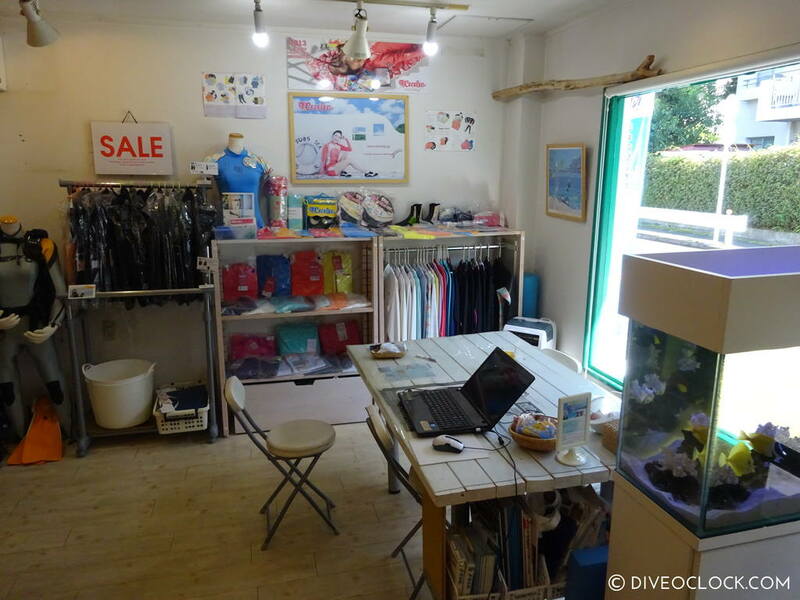 When arriving at his dive shop in the morning the day begun with a warm welcome, a wet hot hand towel (oshibori) and green tea - WOW. 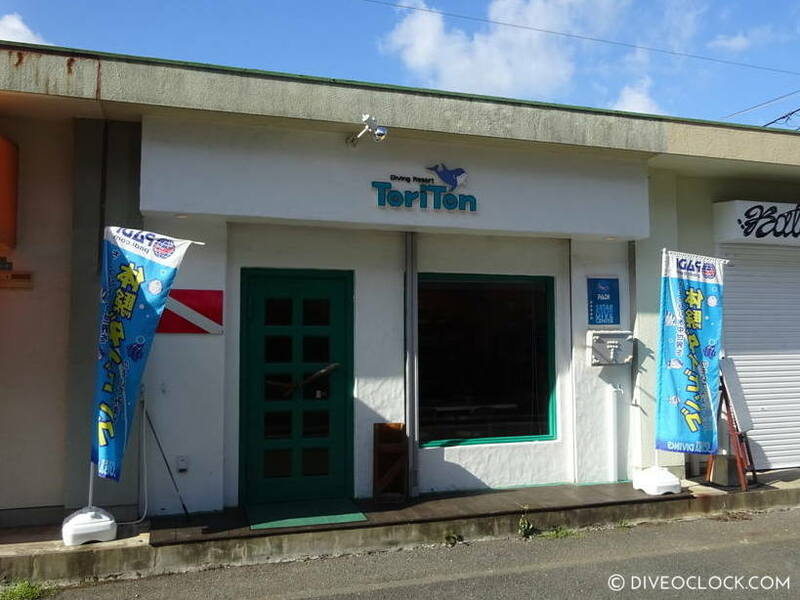 Dive site entrance Fukuoka Koinoura (恋の浦ダイビングスポット). After putting all the dive gear in the car we started driving to the dive site, North of Fukuoka. 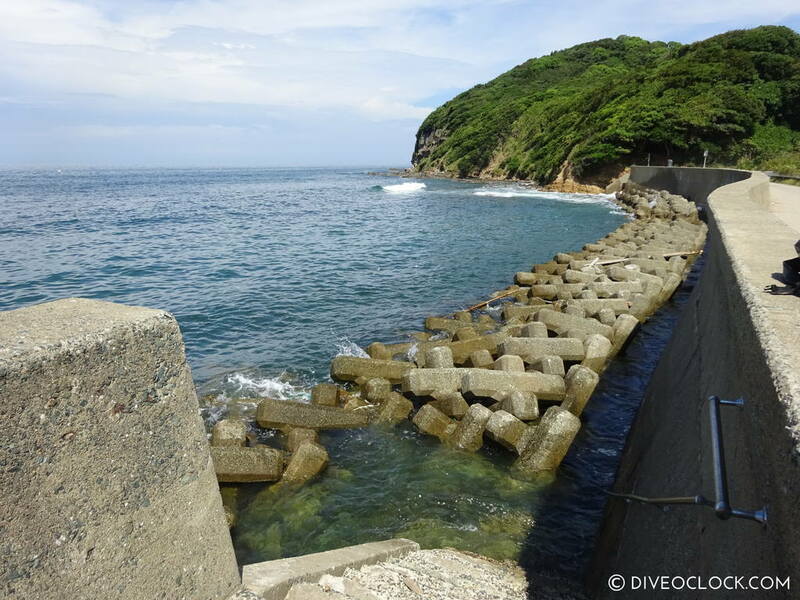 First we drove to Shika Island (志賀島) but when we saw the coastline with waves and murky water Taka thought we would be better off at another location. While driving for another half hour Taka and his colleague started teaching me all kinds of useful Japanese expressions and cultural differences. Of course in return I explained all about my country, The Netherlands, great fun. We moved to a dive site in Watari, Fukuoka Koinoura (恋の浦ダイビングスポット) where the wind came from another direction and the water was quite calm, although not really clear after all the rain. 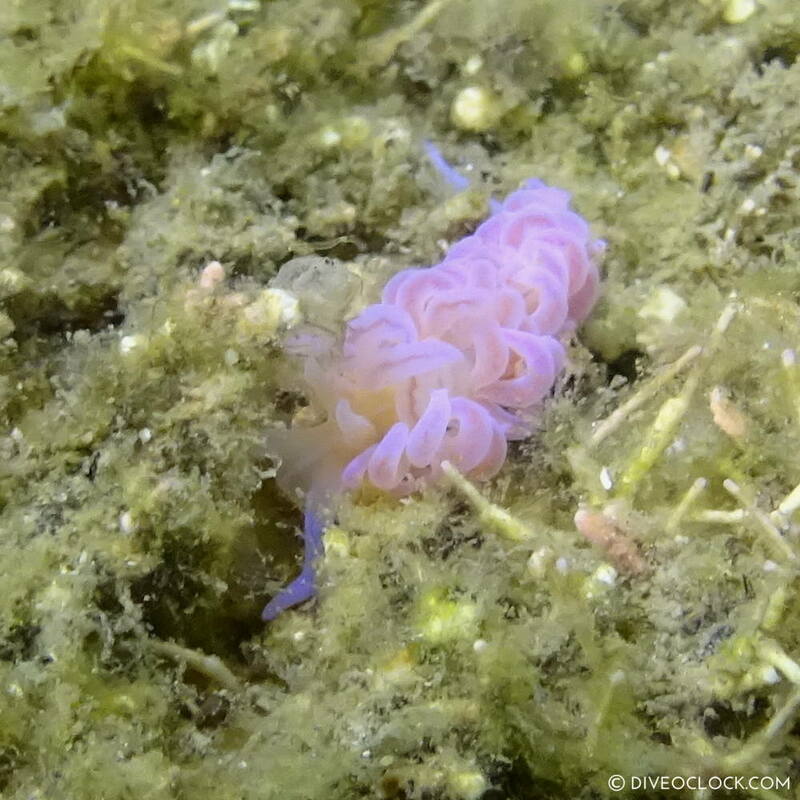 It immediately felt like diving in The Netherlands. Various cars were parked along the waterfront and people created little campsites for the day. Party tents with mats on the floor, camping chairs and food coolers / ice-boxes everywhere and all the dive gear in between. The funniest part was when they explained they were going to set-up the toilet. They actually were! 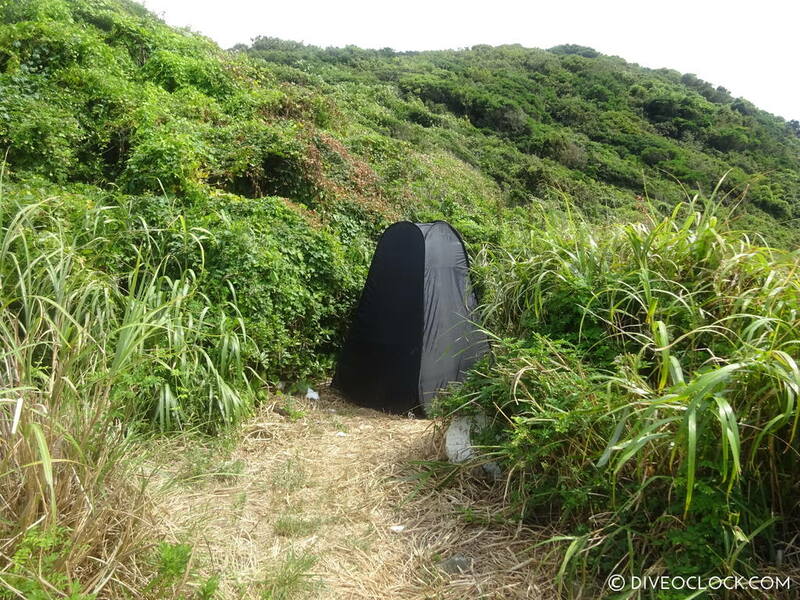 On a covered place, climbing up the hill with a rope, they placed a portable toilet with a little tent around it. Now that is one the most luxurious portable things I have seen while shore diving, so I called it glamping. There were bottles of fresh water for everybody to rinse your face after a dive, the regulators were 'sanitized' and more hot hand towels throughout the day! A bit of glamping in Japan (last photo is from the toilet). 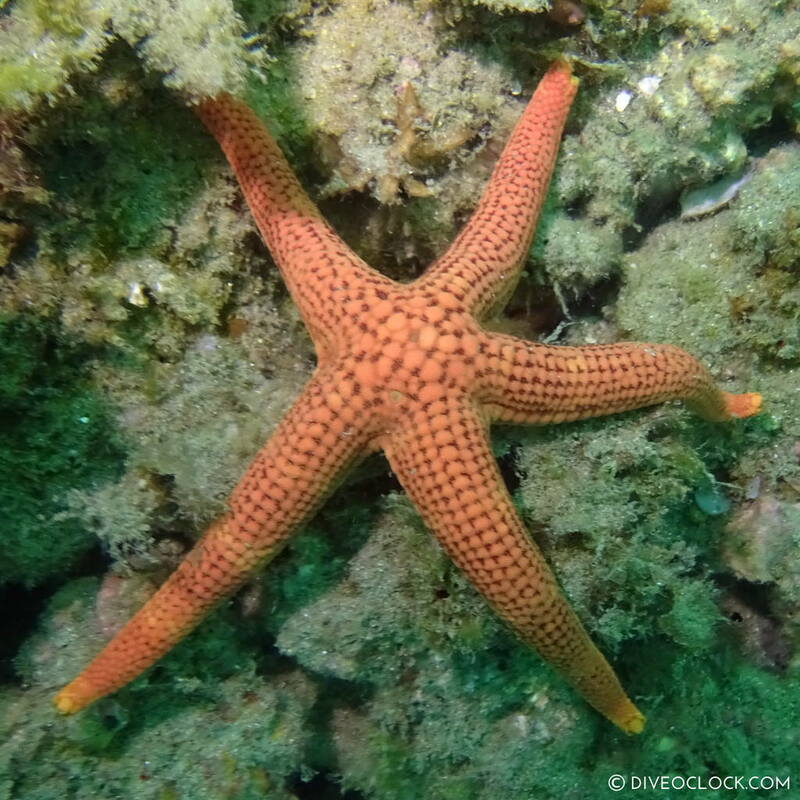 Price About 135 USD for a 2-tank day trip including transportation to the dive site and all diving equipment. 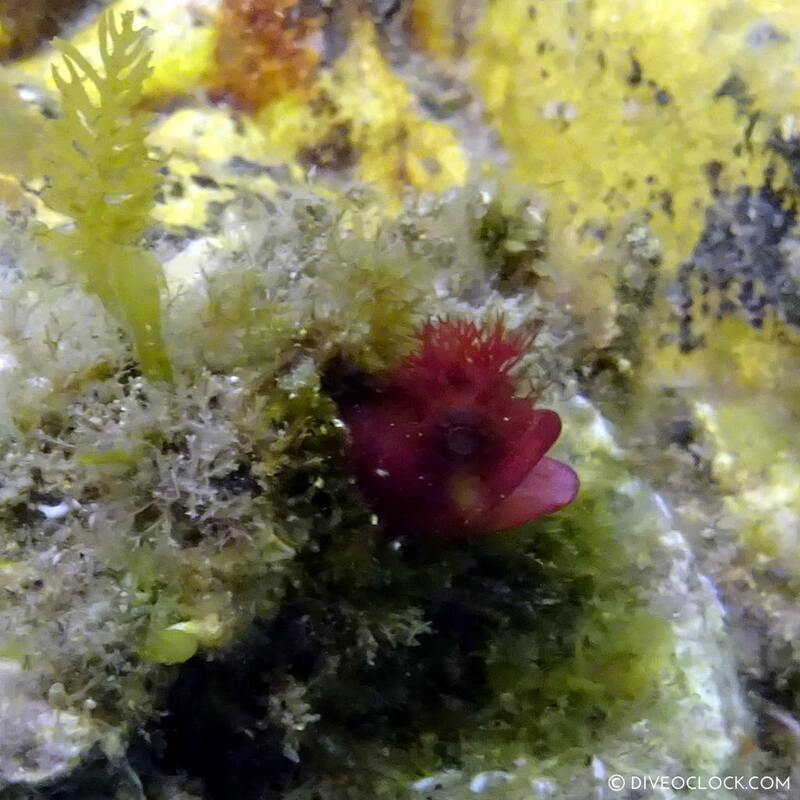 Tiny Chaenopsid blenny, not sure what species exactly. It is not a deep dive area. 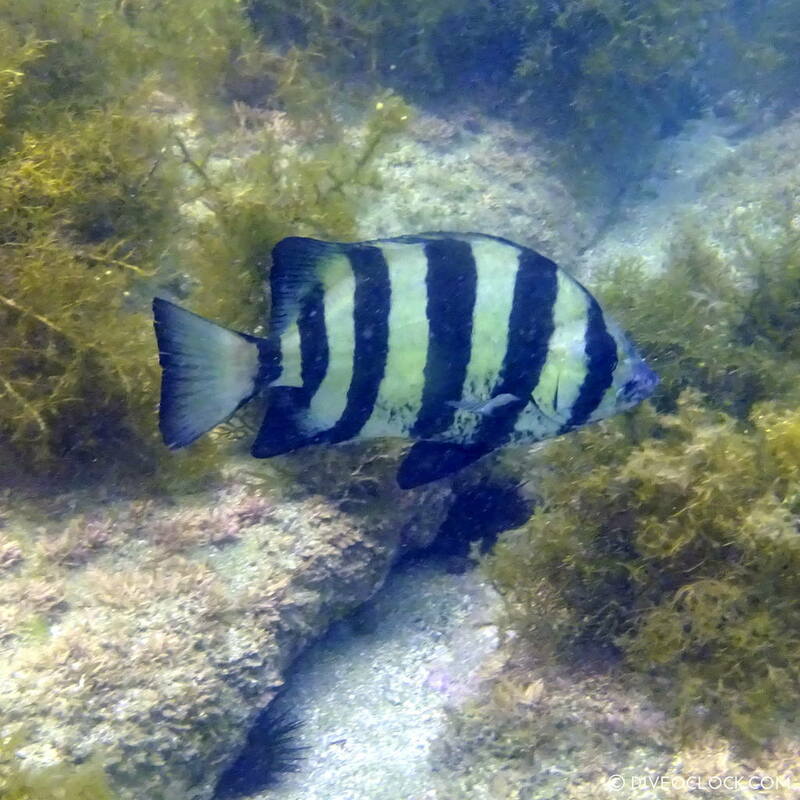 Our maximum depth was 9 m / 30 feet and we really swam quite far out to reach it. 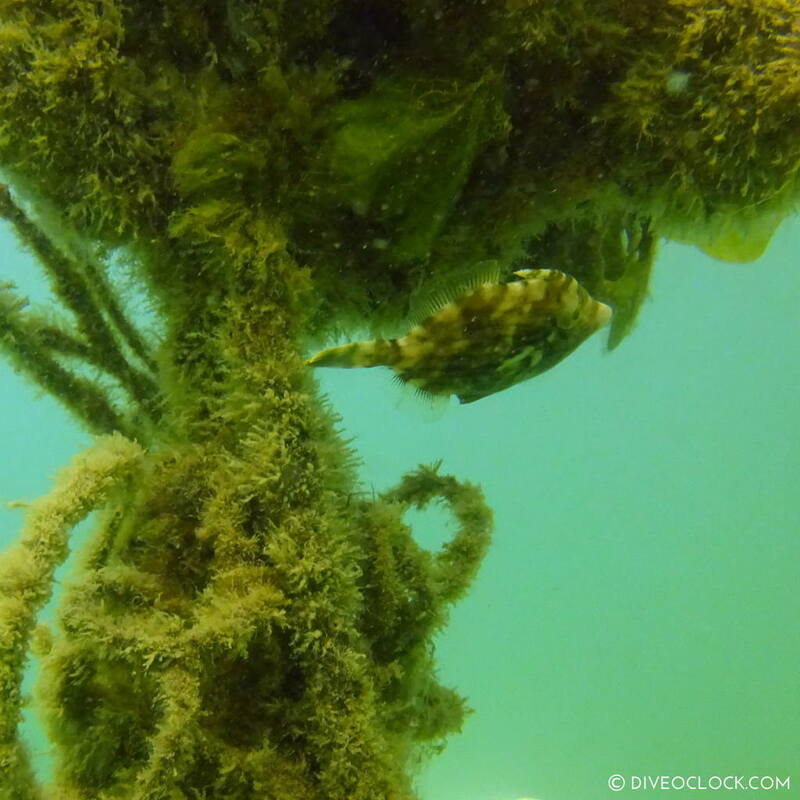 After attaching a diving buoy to a mooring line we were ready to search for interesting marine life species. The visibility was only a few meters and there was quite a surge pulling us back and forward. Still it was great discovering the area, I saw many species I had never seen before. 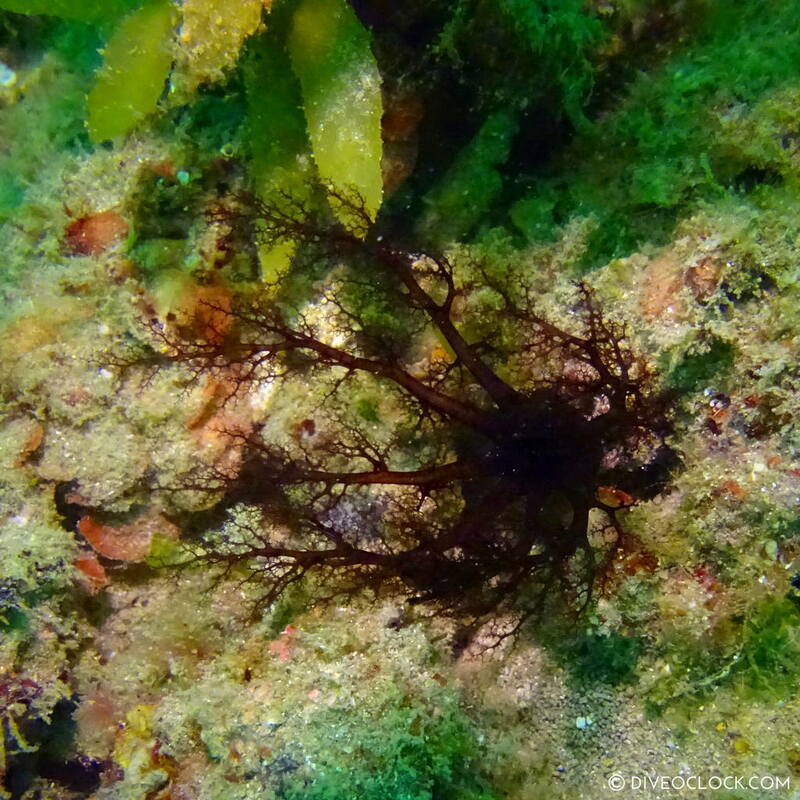 Especially if you prefer tropical 'warm water' diving, this is nice for a change. 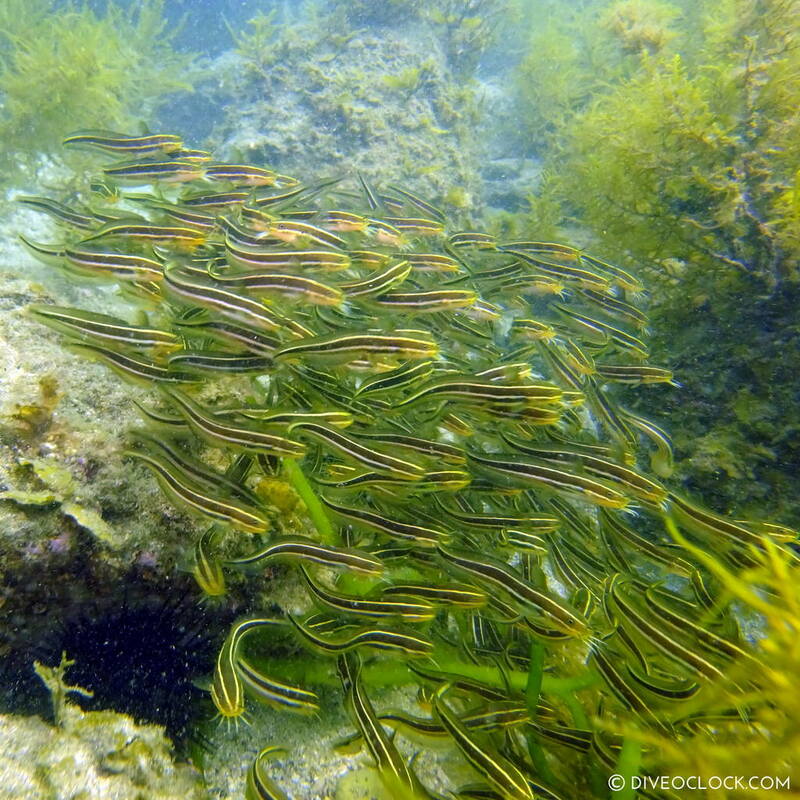 Besides that, the water temperature was around 27 degrees Celsius / 80 degrees Fahrenheit (August). 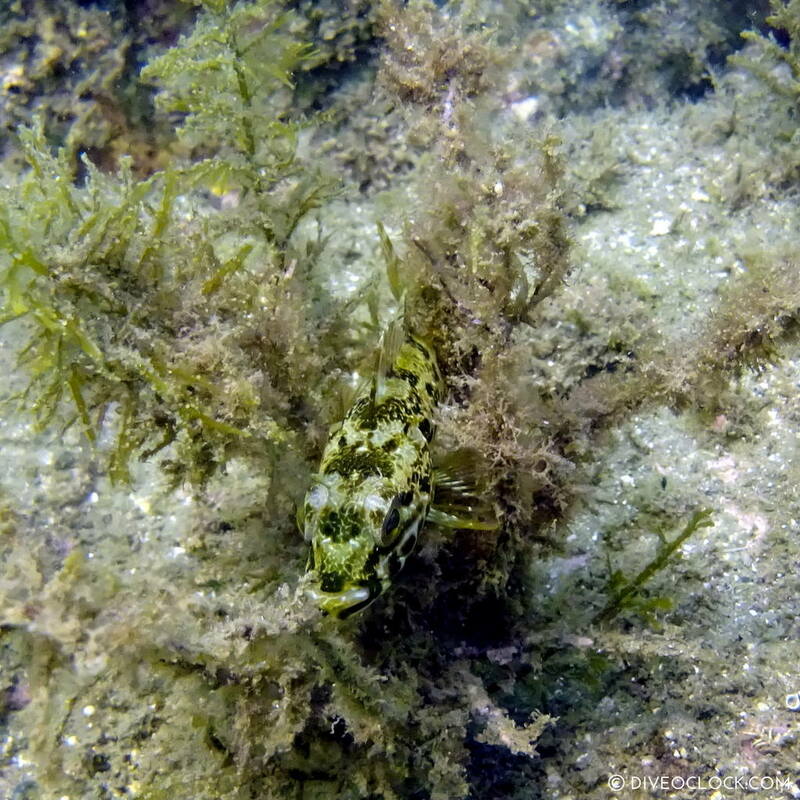 It was all a bit green and brownish down there but we found many lovely creatures. 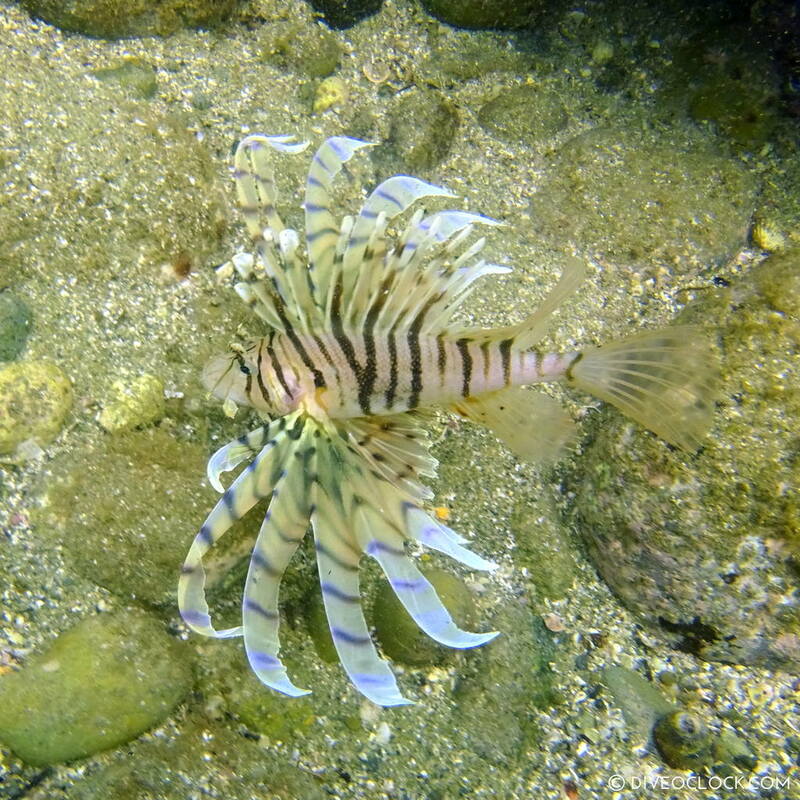 Some beautiful nudibranch, tropical colorful fish like parrotfish, lionfish (not invasive here), sweetlips and butterflyfish. 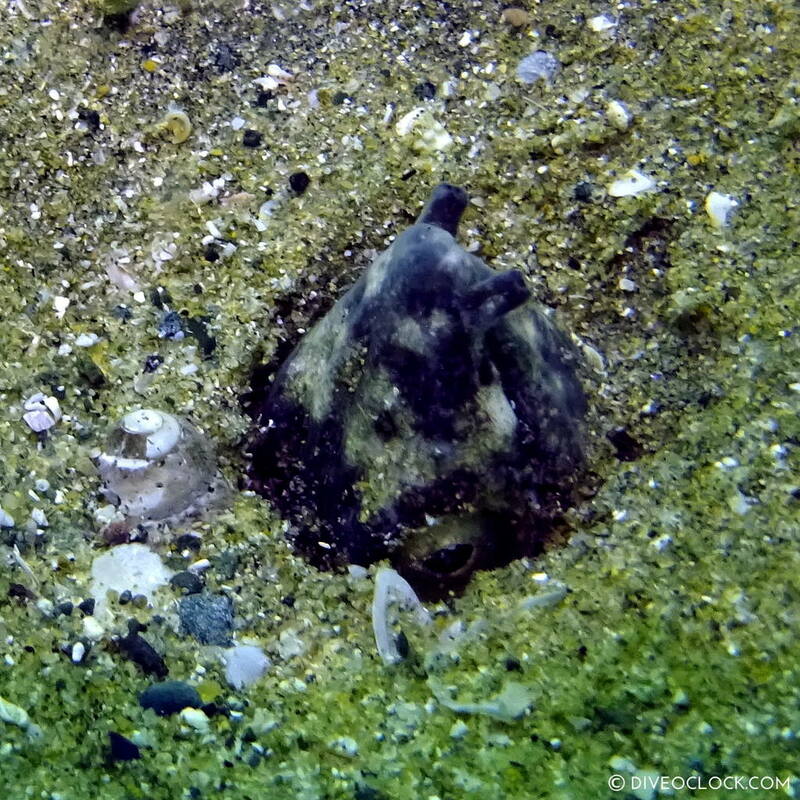 There were some small stingrays, striped catfish, various seastar species and snake eels hiding in the sand. 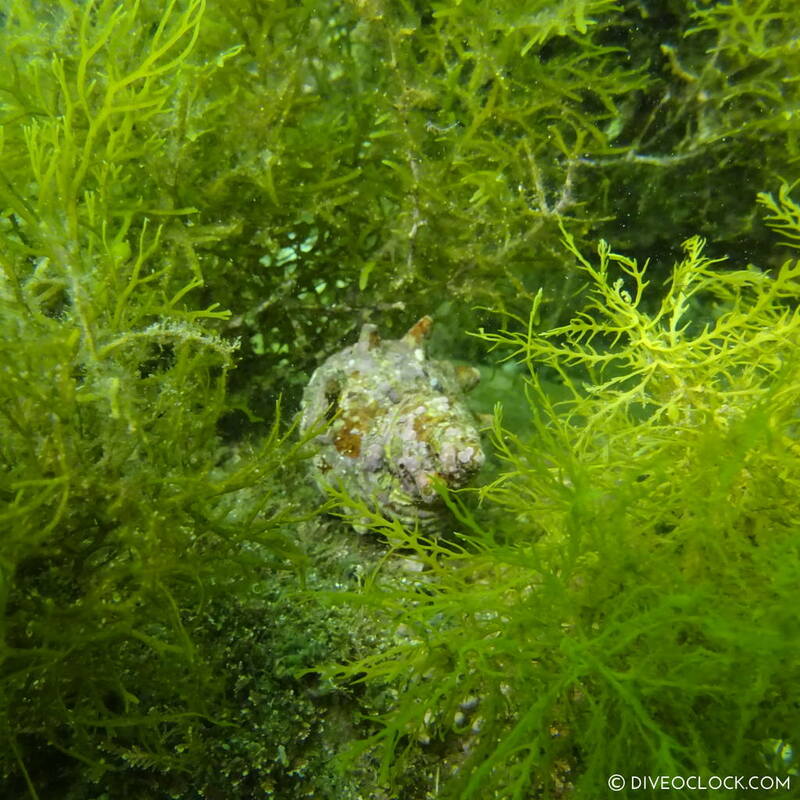 Have a look at the photos to get an idea of what you can spot while scuba diving in Fukuoka, Japan. 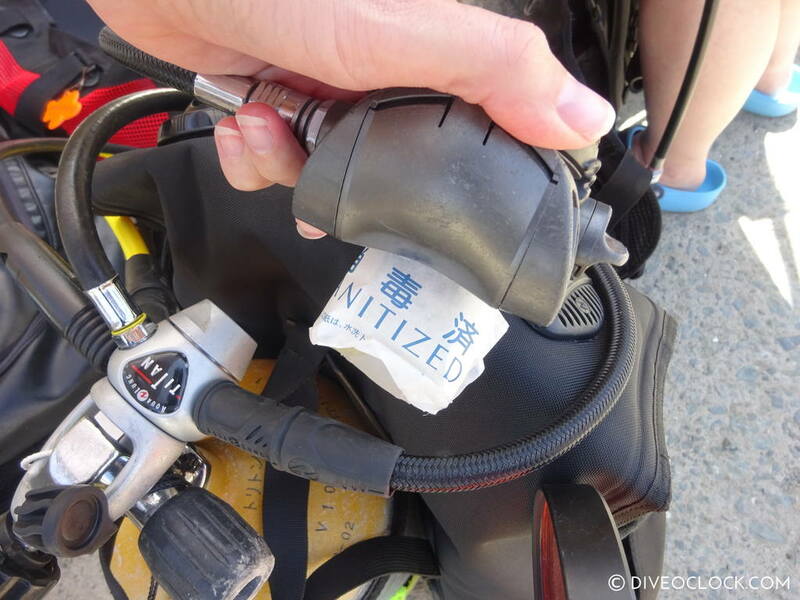 Change clothes easily after diving. A zipper on each side provides easy access to put your pants on / off. 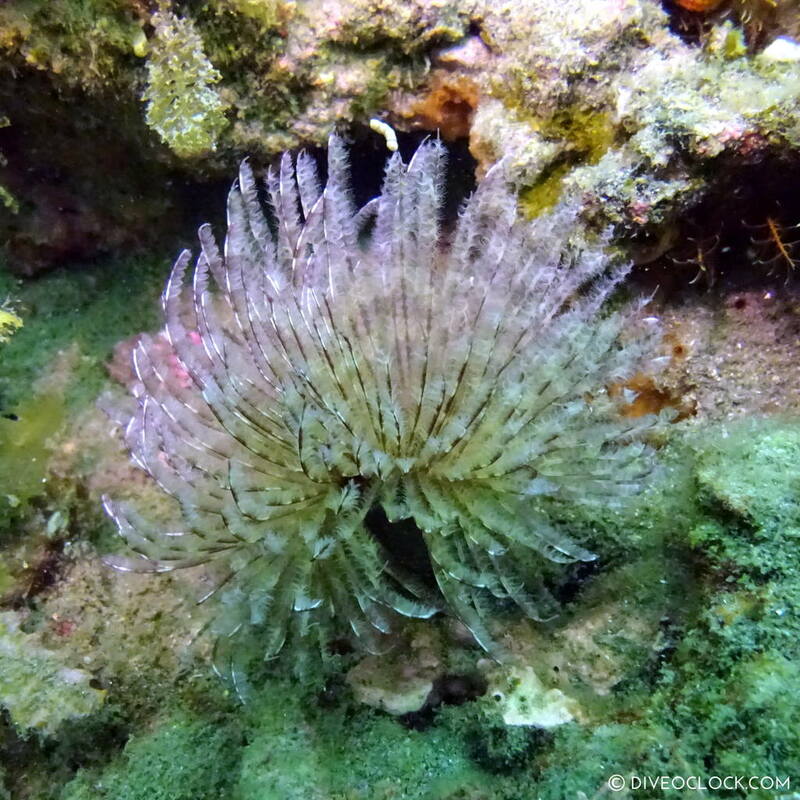 Impressions of marine life around Fukuoka, Japan. 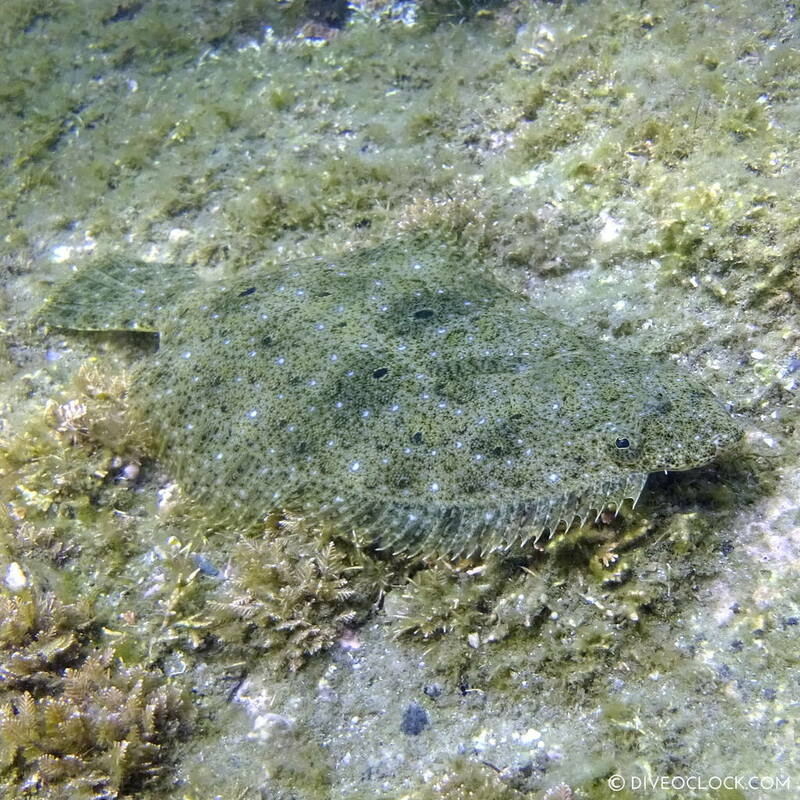 Making friend when fun diving with ToriTon Diving Resort in Fukuoka. 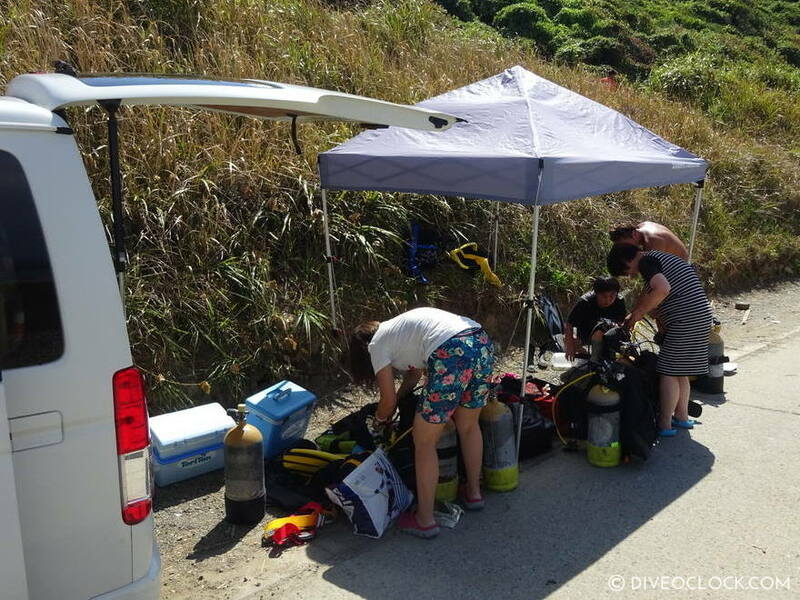 When we arrived back at the dive center there was plenty of time for a shower and rinsing equipment. Afterwards Taka gave a great debriefing about all the species we saw and their behavior and we filled out the logbooks together, great fun! O yes, and more hot towels. Everything went so paced and smooth all day, highly recommended. 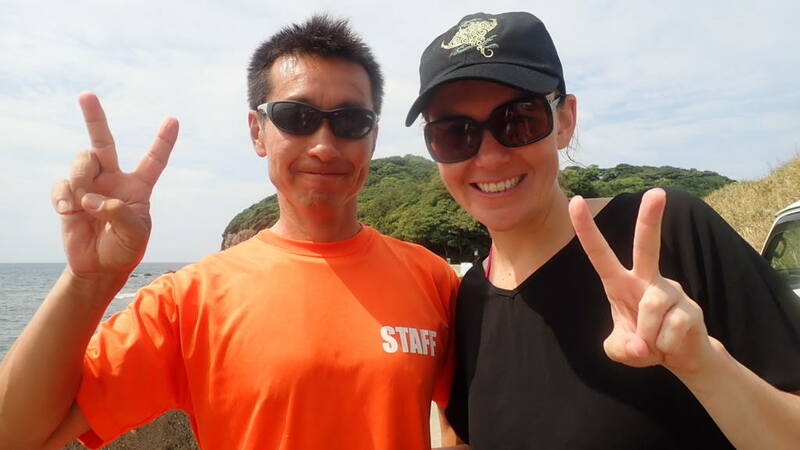 Thank you so much for a great day of diving Taka, Ama and the rest of team Japan!